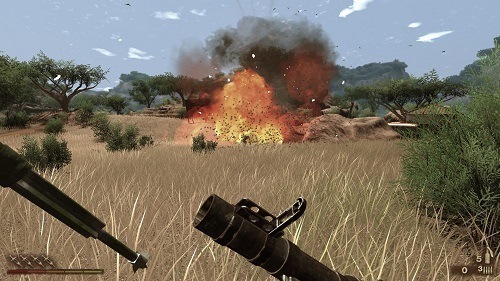 Far Cry 2 belongs to the open world genre and released back in 2008. The game has very few ties to the original Far Cry and is an entirely new experience for players to enjoy. In the game players will have the opportunity to explore a number of African inspired landscapes that are locked in a civil war. You’ll assume the role of a mercenary in Far Cry 2 as you travel across desert and jungle to find and assassinate the head of a gun running rink, known only as The Jackal. 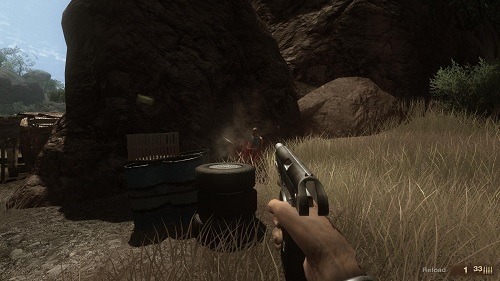 Far Cry 2 introduces plenty of open ended features into the series which were successfully used again in Far Cry 3. This open ended approach to gameplay allows players to playthrough the game as they please while choosing which factions to befriend and the missions to accept. This sandbox style means that you can ignore the main storyline for as long as you please and simply take in what the world has to offer. To make your way around this world players are able to control a number of vehicles from standard cars to boats and even hang gliders. This open ended style extends to playstyle as well with players able to tackle the game with guns blazing or alternatively can rely on a more stealthy approach. This gives the game plenty of appeal to fans of first person shooters but also means that fans of stealth gameplay will also find lots to love. It’s the little features that propel Far Cry 2 to a whole new level though with dynamic weather, impressive AI, a huge weapon list, animals, bush fires and plenty of other realistic features. The level of realism and immersion that you’ll get from Far Cry 2 makes it one of the great open world adventures available. If you’re yet to get your first taste of the Far Cry series then the second instalment is the perfect opportunity. Reinvents the Far Cry series. Huge focus on realism and immersion. Play the way that you want (assault or stealth focused). Explore a large game world with some great environments. On all the major platforms.